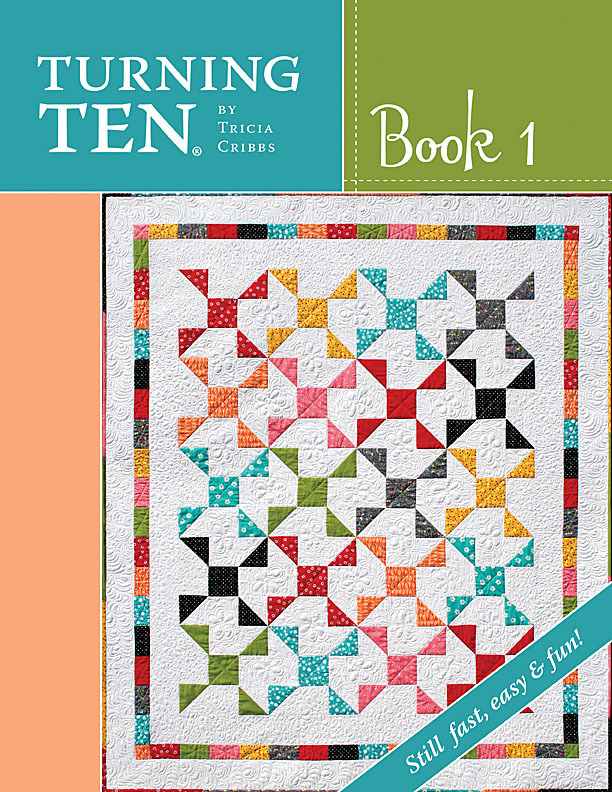 What an honor to introduce my first Turning Ten booklet! Turning Twenty® Hope Chest Treasures, is being released this month. In it, we included an on-point setting & a table runner. 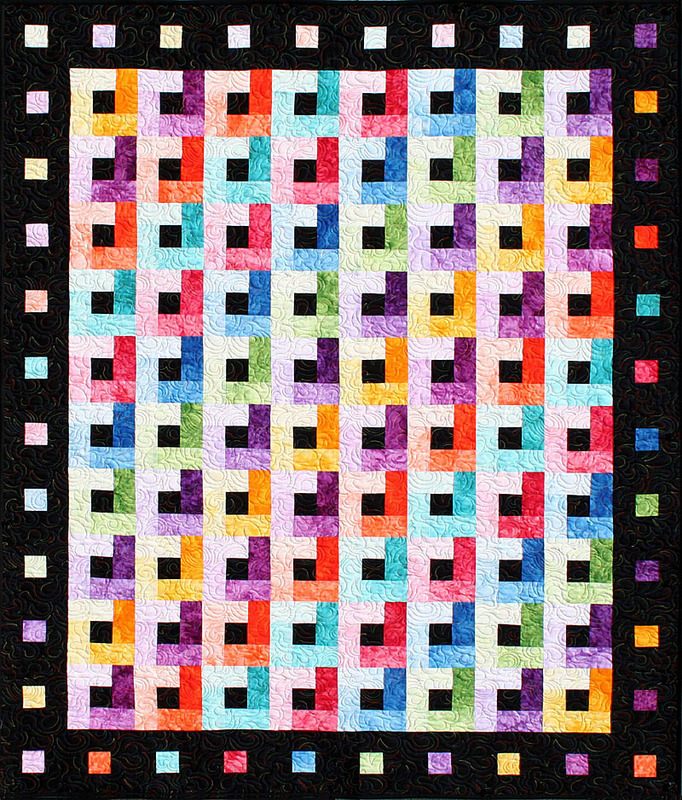 Turning Twenty® patterns will continue to be released each year, but many of my quilt ideas just do not work for fat quarters I believe Turning Ten® will take care of that. It’s still all about fast, fun, & easy, but based on 10 cuts of fabric. Spinwheels is 10 half yards of bright and cheerful fabrics! 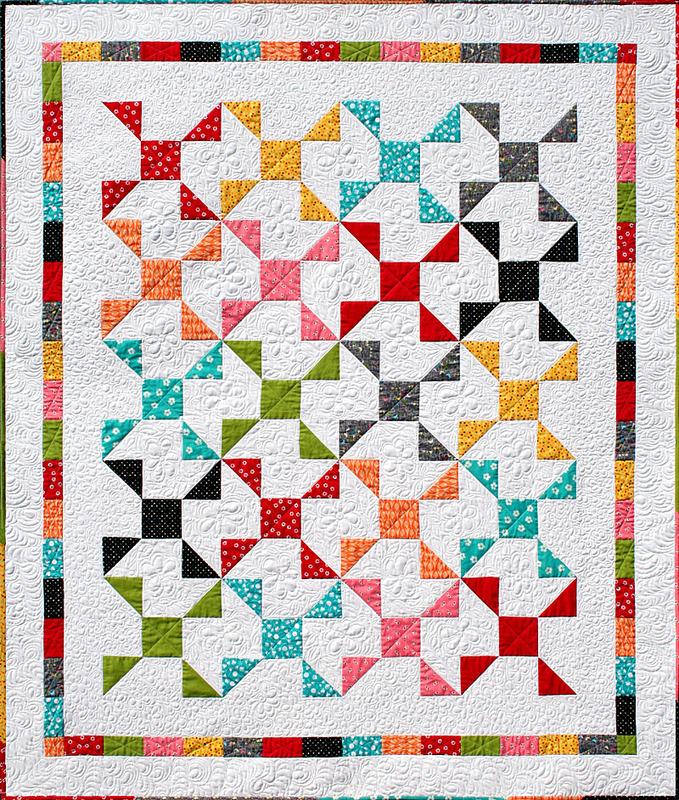 I love how these colors float on the sea of white, and how the white space allows my quilting to shine. Let It Shine is the BONUS pattern for this publication. Written for fat eighths, but can easily be made from 2½″ strips. This one just colors me happy! Anything Goes! Gather up 10 half yards of any eye popping fabric you find. This one can easily be finished in a day, and also lends itself quite well to scrap reduction. 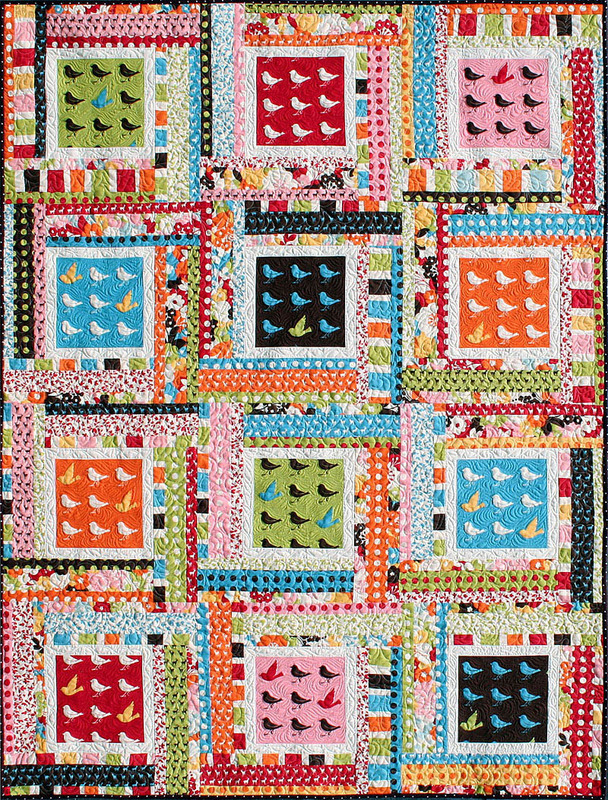 Take a look at Hailey Byrd’s Anything Goes quilt. It’s her very first grown-up quilt! (18) 4⅞" x 4⅞" (24) 4⅞" x 4⅞" (60) 4⅞" x 4⅞" (72) 4⅞" x 4⅞"
(36) 4½" x 4½" (48) 4½" x 4½" (120) 4½" x 4½" (144) 4½" x 4½"
(4) 4½" x 36½" (4) 4½" x 36½" (4) 4½" x 60½" (4) 4½" x 72½"
(4) 4½" x 36½" (4) 4½" x 48½" (4) 4½" x 72½" (4) 4½" x 72½"
(4) 4½" x 4½" (4) 4½" x 4½" (4) 4½" x 4½" (4) 4½" x 4½"
(4) 4½" x 6½" (4) 4½" x 6½" (4) 4½" x 6½" (4) 4½" x 6½"
(4) 4½" x 10½" (4) 4½" x 10½" (4) 4½" x 10½" (4) 4½" x 10½"